author – traveler – speaker . I grew up in Washington, D.C. with parents who believed in me and loved me. But somehow they missed the 2nd grade report card comment that insisted that I was obsessed with maps and globes. So for years, no one seemed to recognize that my future would be a bit broader – and more international – than anyone in my family. My professional career started in the world of education – and quickly brought me from classroom teacher to school administrator and then educational program developer. And while all of this was good, I finally decided that I would rather trade that in for a shot at extraordinary. I spent some time deciding what I thought mattered – what I was really good at – and what I would be willing to spend my life pursuing. And that’s when I founded Global Next Research Group and Leadership Institute. I spend my time traveling to interesting places, chasing stories, interviewing terrorists, journalists and people who are generally smarter than I am. I offer leadership training programs throughout the US, Europe, North Africa, Central Asia and beyond and run internship programs in an attempt to mentor a new generation of leaders. So, now I’ve worked with 1000’s of students, spoken before 10’s of thousands of people, visited more than 40 countries, talked to everyone, written about most of it and thought about more of it. Somehow I managed to be blessed with a great wife, 2 sons and just a handful of extraordinary friends. Not much to complain about. And I remain passionate about discussing what matters and helping others understand a complicated world and how they can be part of the answer to it. Want to know more? 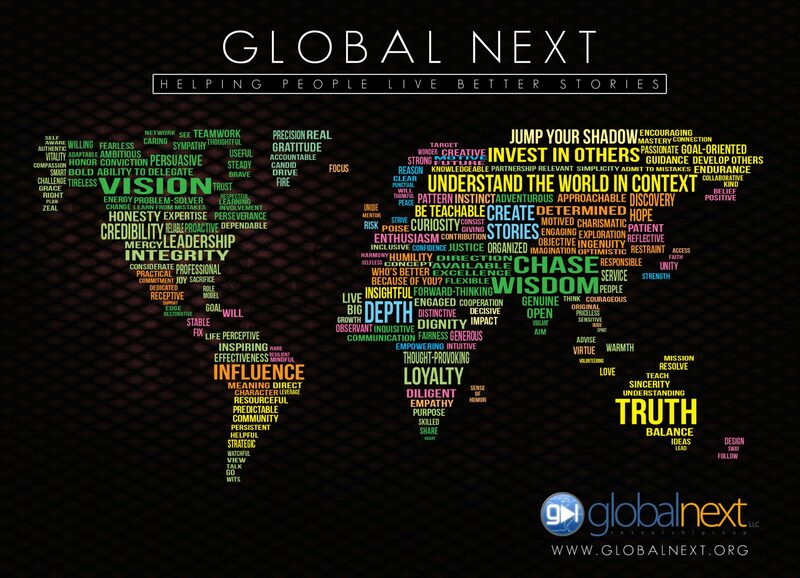 visit my website at: www.globalnext.org.